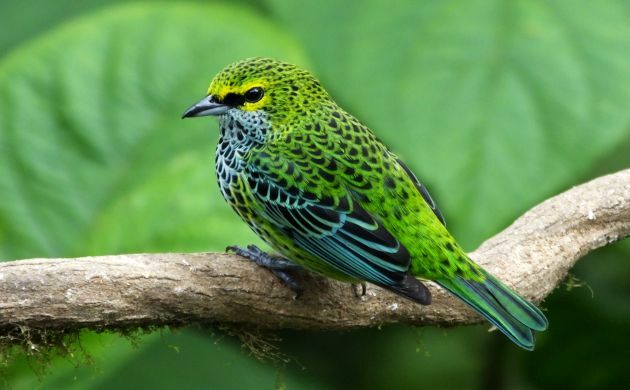 I just finished three days of guiding in Costa Rica, each of which was a day trip from the Central Valley, every one a bonanza of new birds. 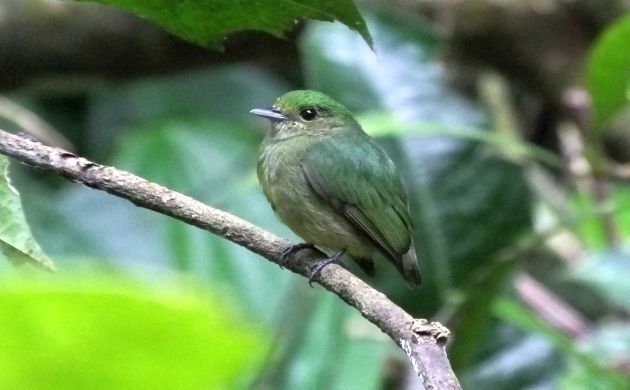 Costa Rica’s winning combination of small size and distinct habitats makes it possible to connect with species as different as Snowcap, Crested Owl, White-throated Magpie-Jay, and glittering tanagers in a matter of thirty-six short hours, even quicker if you push your luck (and your vehicle). 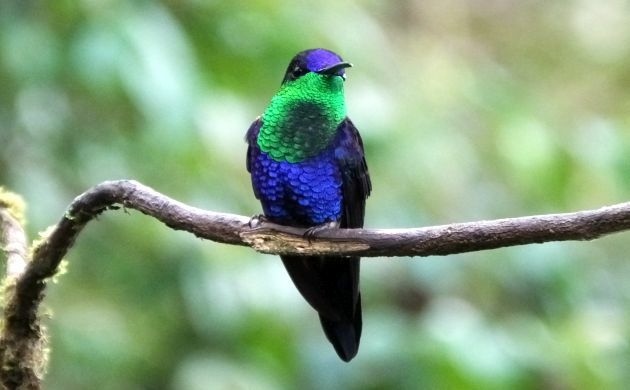 This first day of birding was dedicated to capturing video footage of a choice hummingbird, the Snowcap. 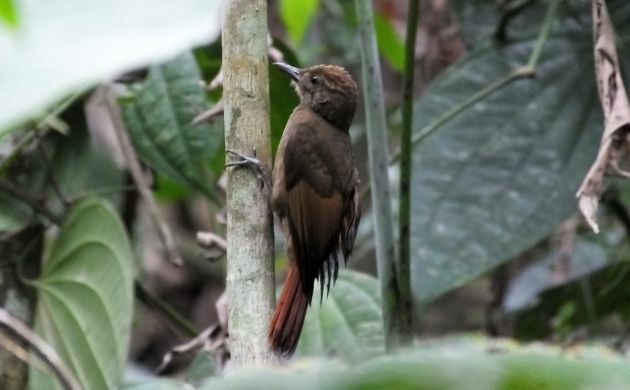 Since this sugar-capped, winged blend of burgundy and chocolate requires mature foothill rainforest, it’s only readily available at a few sites. 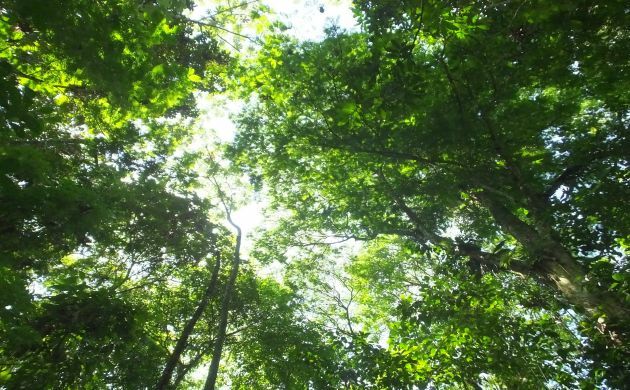 One of those lovely places is El Tapir, a site situated just outside of Braulio Carrillo National Park, and our first stop for the day. 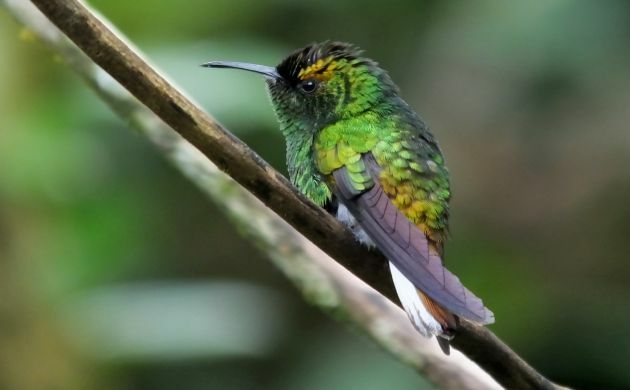 The Snowcap came quick and was followed by other hummingbirds, brief looks at a robin sized, rare Tiny Hawk, high flying King Vulture and tanagers flitting through the trees. 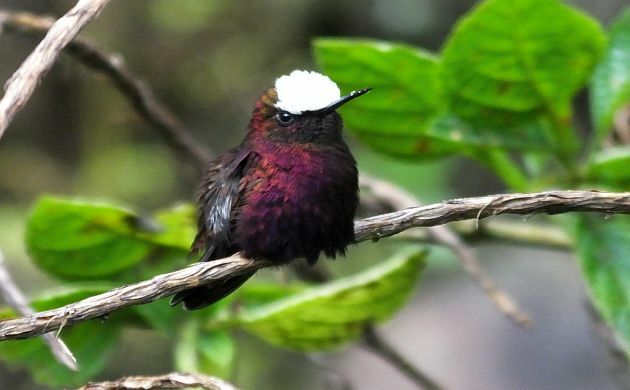 It’s always tough to avert the eyes from a male Snowcap. etc., more birds, and so on!! 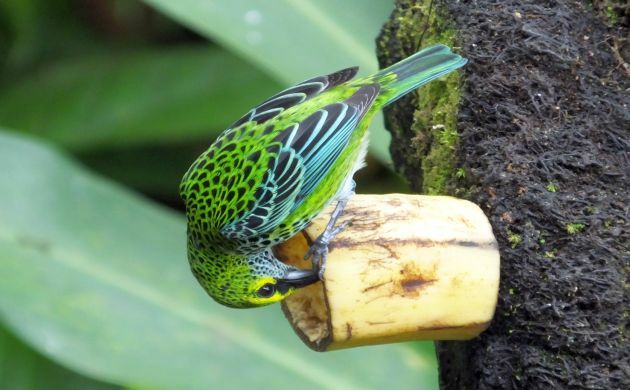 Although the garden birds at Cope’s vary during the course of the year, you can always expect close looks at something good. 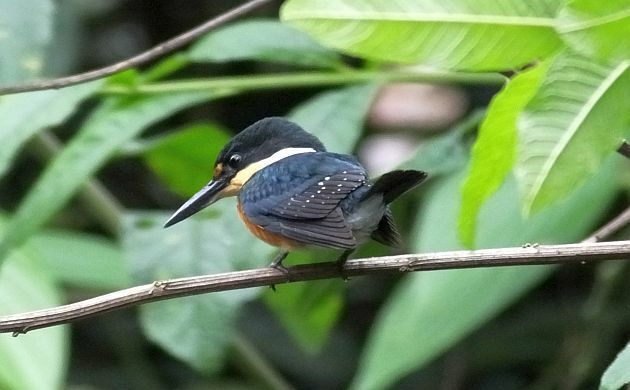 One of the nicest during our first day of birding was an American Pygmy-Kingfisher. 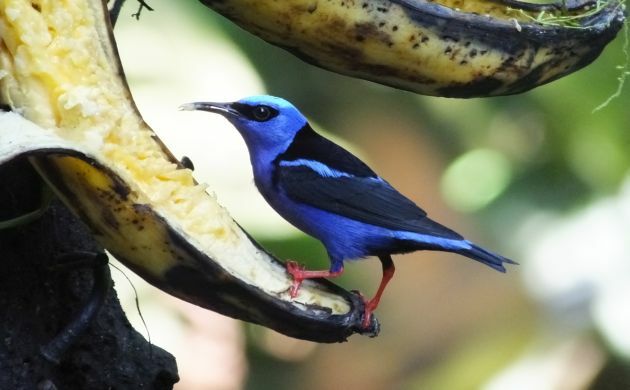 There were other species seen in the garden but with roosting owls waiting, well, we just had to peel our eyes away from the feathered display for a couple hours and check out Cope’s rainforest. 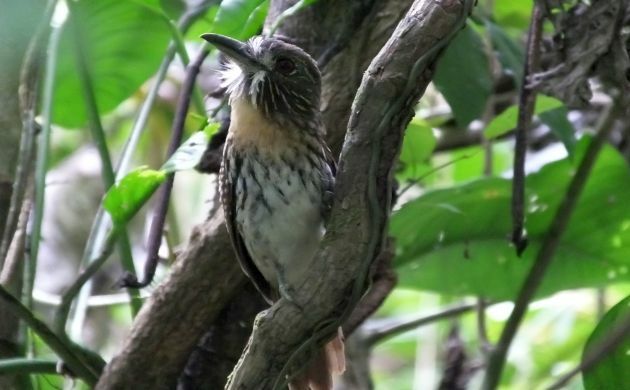 A patch of primary rainforest can host a surprising variety of birds. 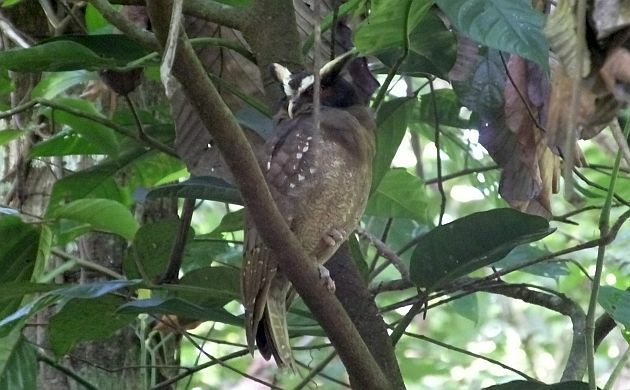 Cope keeps track of the birds in this locally owned forest and on our visit, one of “his” Crested Owls was visible right from the road. 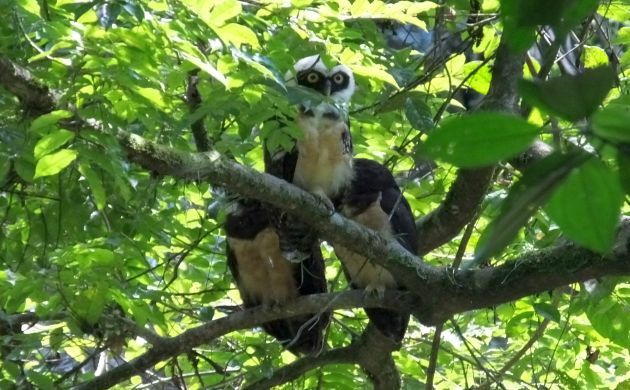 After we had our scope fill of that one, we ventured into the forest to lay eyes on a family of Spectacled Owls! 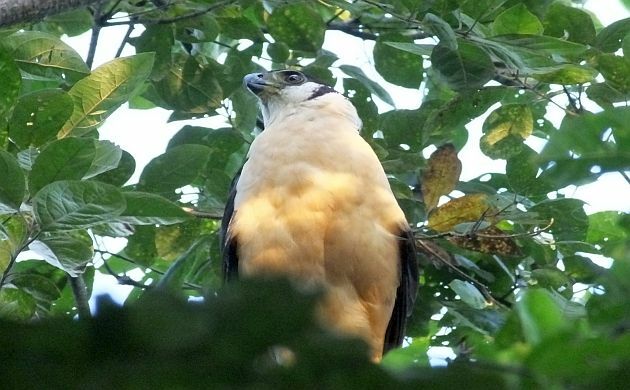 A Black Hawk-Eagle called high overhead and another King Vulture was in the air but it was time for lunch. 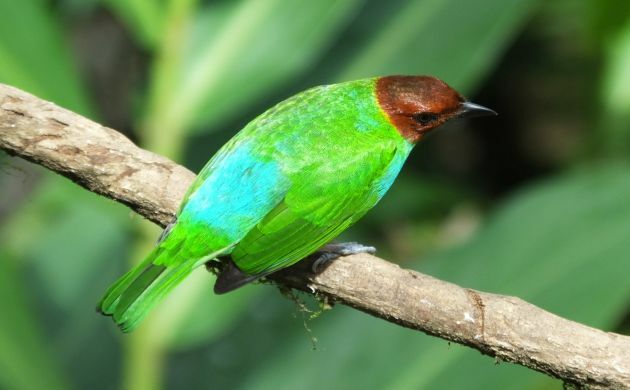 We did that at a nearby, delicious restaurant, came back to Cope’s for more looks at the fantastic feeder, took pictures of a giant katydid, and went back to El Tapir. Although the Snowcaps were gone, we made up for it with fine views of male and female Black-crested Coquettes, and finished off the day with three Ornate Hawk-Eagles soaring high overhead. That was it for day one, day two took us to middle elevation forest at sites near San Ramon. 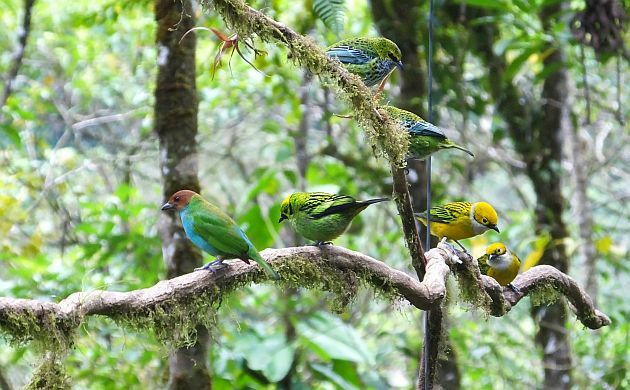 The San Luis Canopy is a popular zip-lining site that you won’t find on birding tour itineraries. I know, why would you? 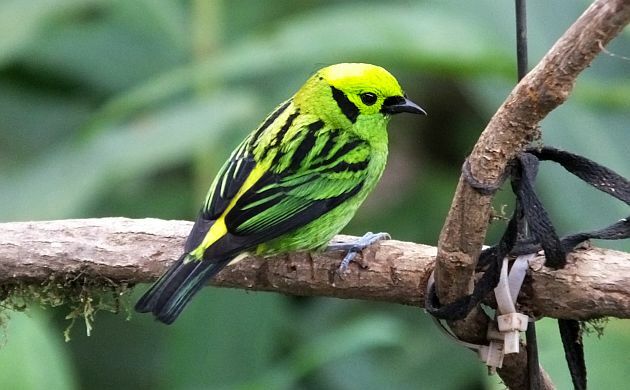 I mean, what honest birder wants to zip-line when multi-colored lifers are available? 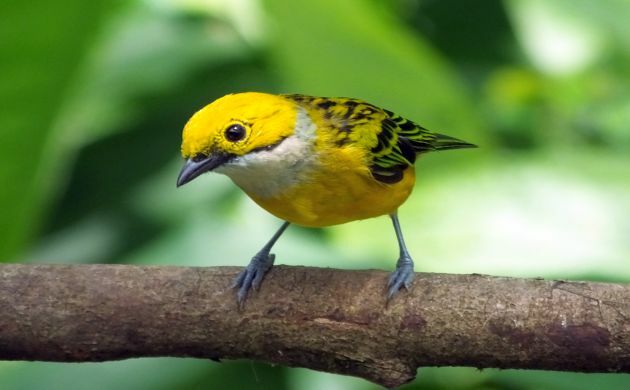 However, don’t be surprised if tours start adding this site to their itineraries and if they don’t you should because…tanagers! 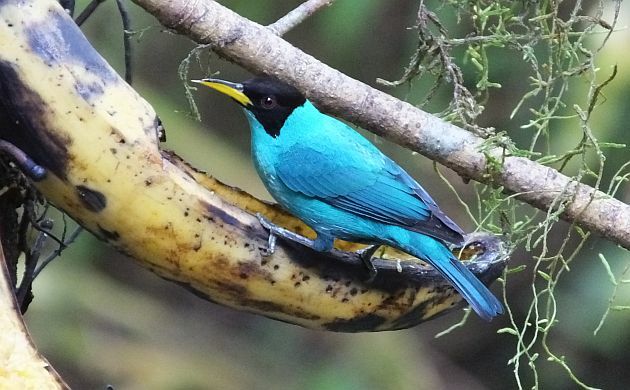 They come to fruit right behind the buildings and while you dig the colors, you might also get lucky with Ornate Hawk-Eagle, Golden-olive Woodpecker, White Hawk, and other species (we did). 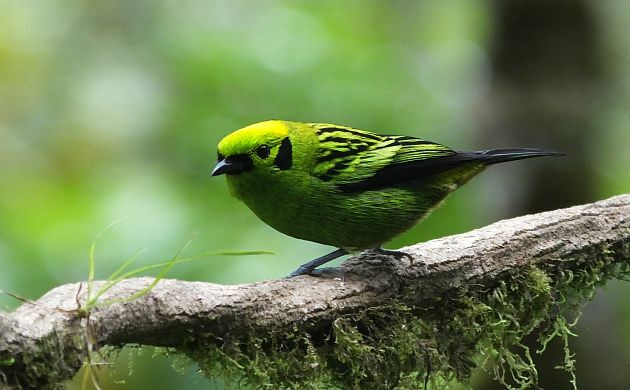 If you do their hanging bridges trail, even umbrellabird, Dull-mantled Antbird, and other choice species are possible. 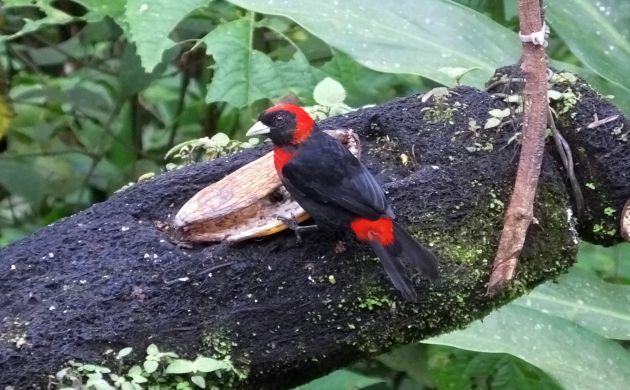 We, however, settled on the tanagers and were treated to a visual overload. We couldn’t stop marveling over multi-species views like this one. 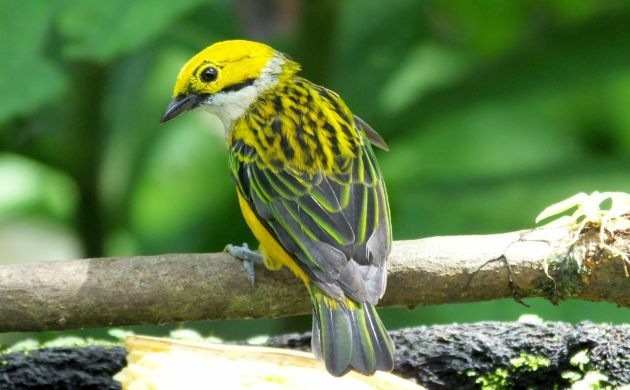 as were a few Black-and Yellow Tanagers in the trees. 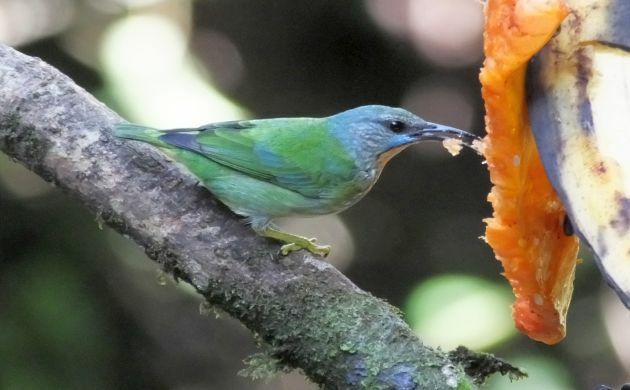 Lunch at the San Luis Canopy restaurant was followed by a visit to the nearby Cocora Hummingbird Garden because a day of tanagers only gets better when it becomes a day of tanagers and hummingbirds. 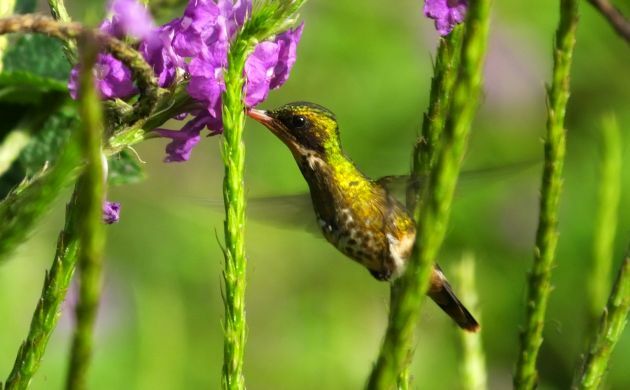 Just up the road, this sweet, friendly site has a butterfly garden, passion flower garden, small forest trail, and an excellent set of hummingbird feeders. 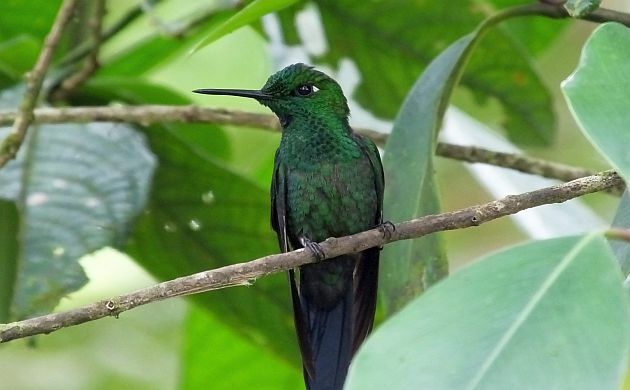 After enjoying point blank looks at five other species of hummingbirds, we headed back to Alajuela with another brilliant day of birding under our belts. 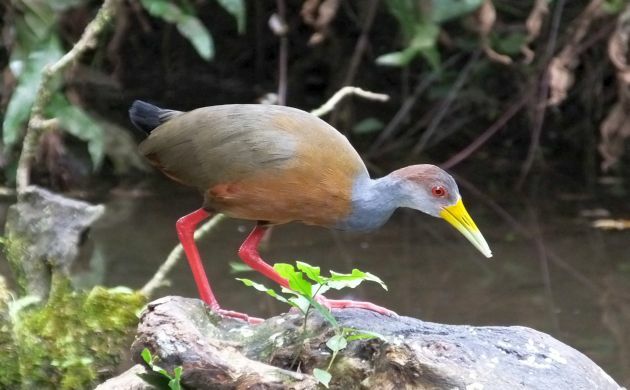 But the fantastic birding didn’t stop there, Carara National Park was next on our list. 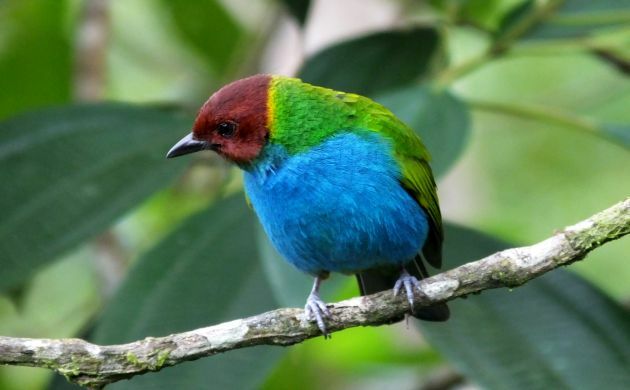 We also had Great Tinamou, Gray-headed Tanager, Pale-billed Woodpecker, antshrikes, antbirds, various flycatchers, magpie-jays, and more. 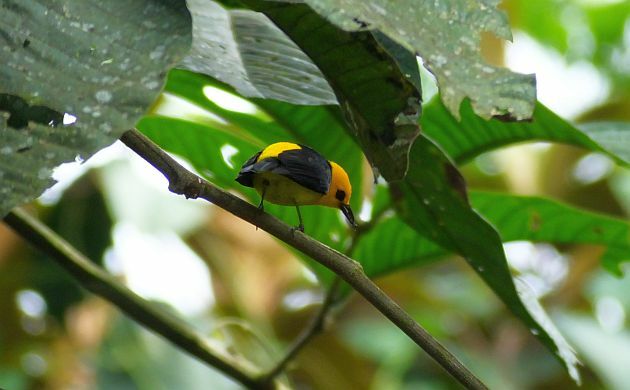 If we would have lingered until dusk, the birds would have kept on coming because around Carara, that’s how the binoculars roll. 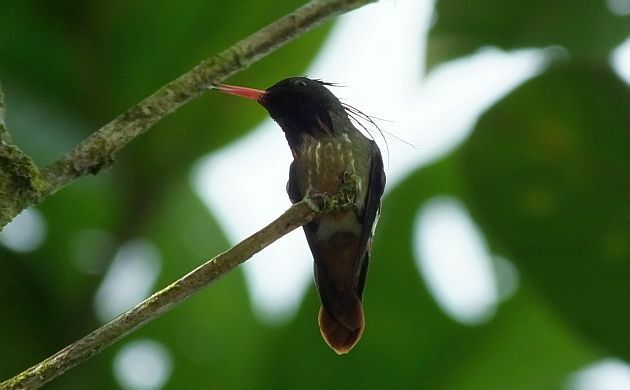 However, it was time for us to head back to Alajuela but with more than 100 species during our third and final day, we couldn’t really complain. 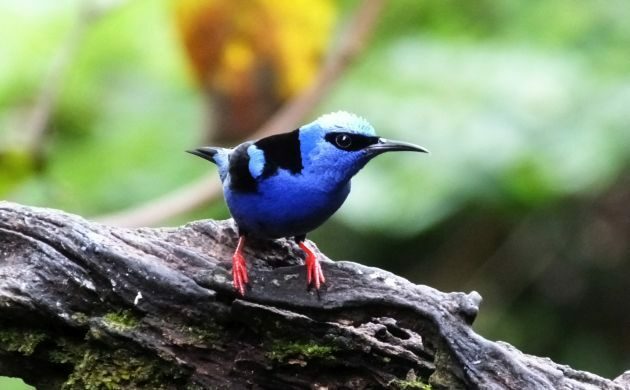 What an amazing collection of bird photos! Yes, you had us drooling as we try to get excited about the juncos and white crowned sparrows that grace our days in late autumn in eastern California. Thank you! @Karen- I hope you can come to CR and see these some time. As for juncos and sparrows, I like seeing them when I visit the USA during the winter. Great day and beautiful photos!